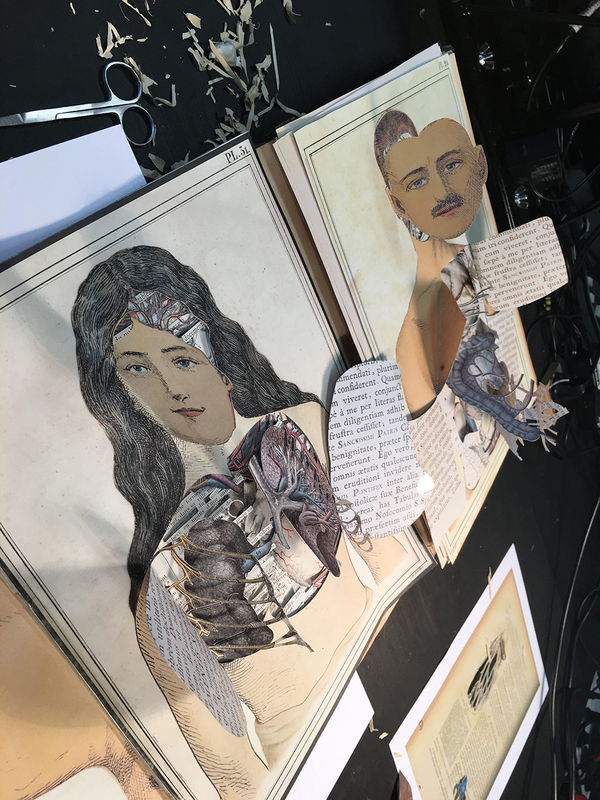 During a brief performance, two artists with magic fingers carry out a live “operation” on anatomy textbooks. 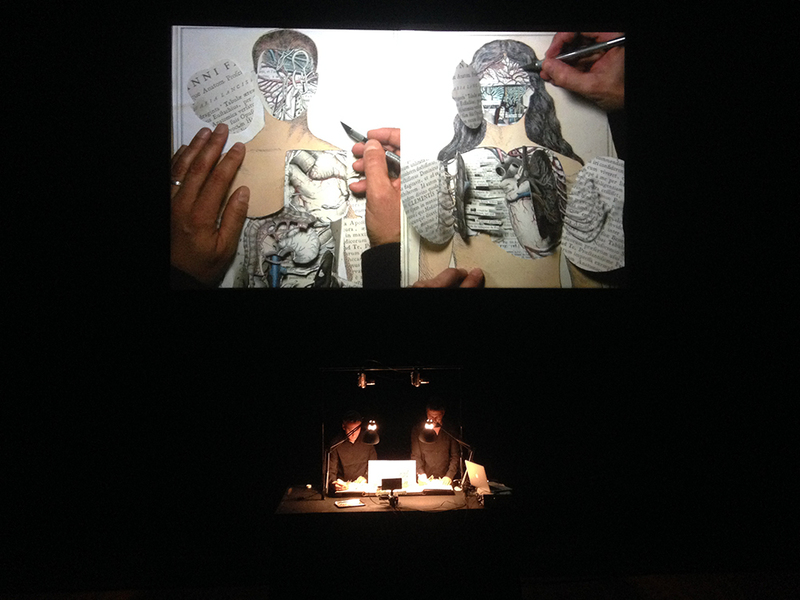 A video on a large screen allows the audience to follow their meticulous gestures: they begin by opening the paper torsos of a man and a woman with a scalpel. The inside of thoracic cages reveals organs, a network of arteries, as well as some unexpected items: flowers of a wonderful blue colour, multi-coloured birds, charming animals, turquoise skies, etc. Buried feelings, secret emotions and desires of harmony: a whole poetical marrow, delicately extracted by the “surgeons” who will draw the outlines of a Garden of Eden in its apotheosis. The sound of a beating heart, the precise movements of the artists inspiring contemplation, the slowness bringing its strength and universal reach to this painting of a paradise. An ode to love, concentrated like a haiku poem. "10 minutes of pure poetry, magic, fingertip delicacy, heart-warming tenderness." Nos Jardins / Our Gardens was born in Brussels, where the company la Bande Passsante was commissioned by the Fonds Erasme medical research foundation and the Museum of Medicine in 2016 to create a short art form. 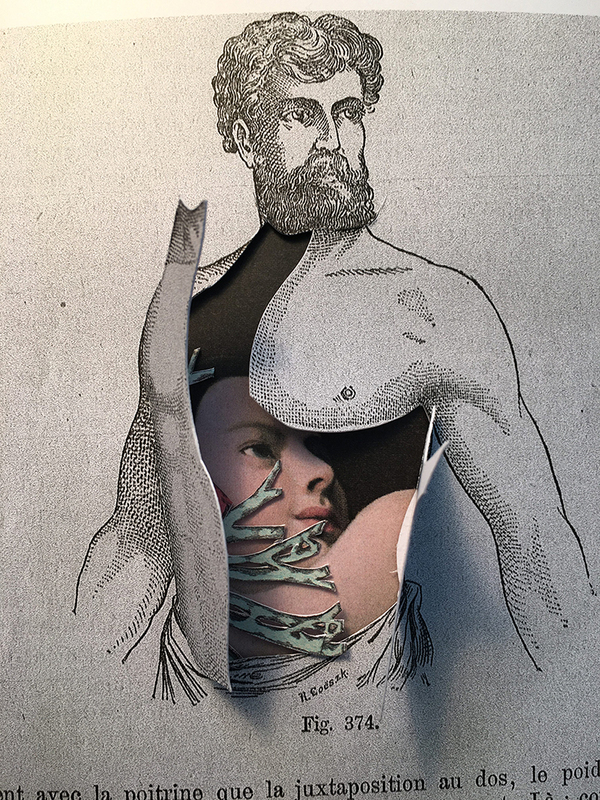 Benoît Faivre and Tommy Laszlo delved into the archives of the Museum and Fond Erasme and were moved by the beauty of certain anatomical prints which evoke our fragility. At the same time, they wanted to work on the book as an object, playing around with its volume and its thickness. 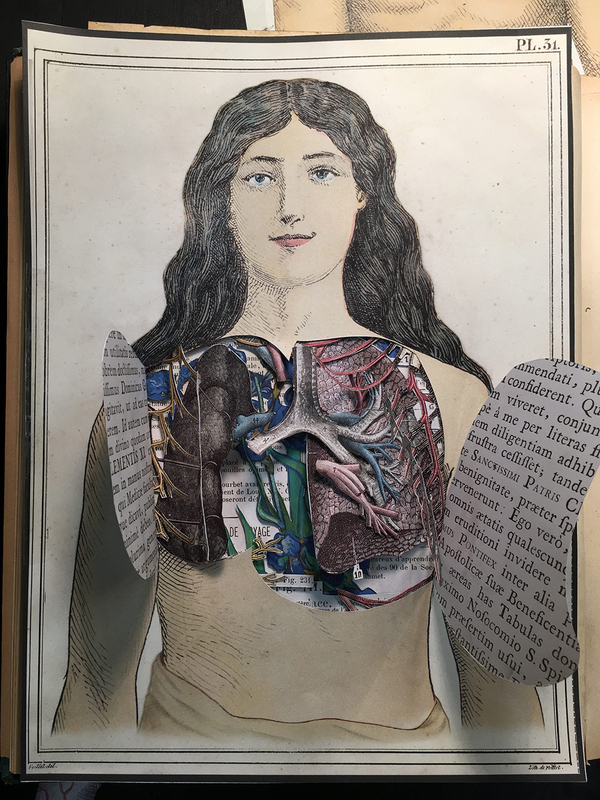 As visual artists, they prepared two medical works to transform them into “augmented” books. The depth of the pages concealed coloured images like illuminations. These paper metaphors became the details of a shimmering painting, set in motion by the camera projecting the image on the screen. This short form, accompanied by flamboyant music, goes straight to the point: it tells us what, deep down, moves us. 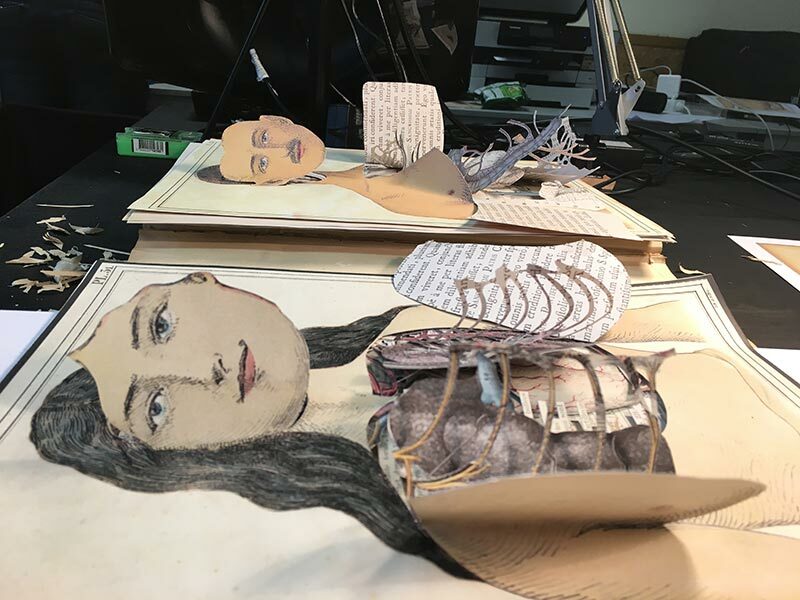 La Bande Passante imagines the “paper body” as a poetical space, a sacred temple from which the artists extract the secret gardens of men, women and their dreams of union. Benoît Faivre and Tommy Laszlo organise the meeting between the “objective” images of science and the paintings of the grand masters of art. The sober pages of anatomical encyclopaedias contrast with the famous, brilliant and vibrant paintings of Van Gogh, Cézanne, Bosch, du Douanier Rousseau and Klimt. They reflect a human interior that no scientific print can truly represent: the emotions and thoughts, the dreams and aspirations of men and women at their very best. By imitating the gestures of the surgeon, the artists unite both sides, science and art, the visible carnal reality and the delicate mystery of the human soul.